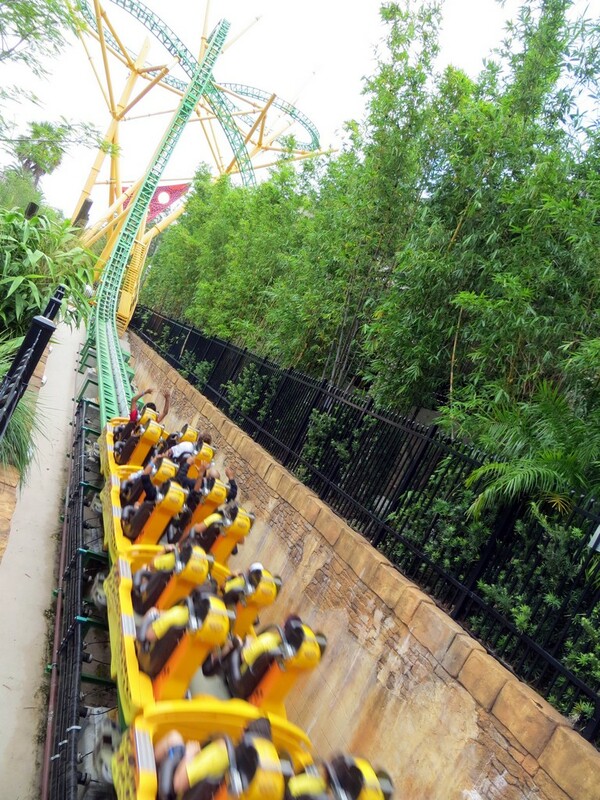 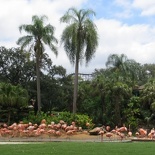 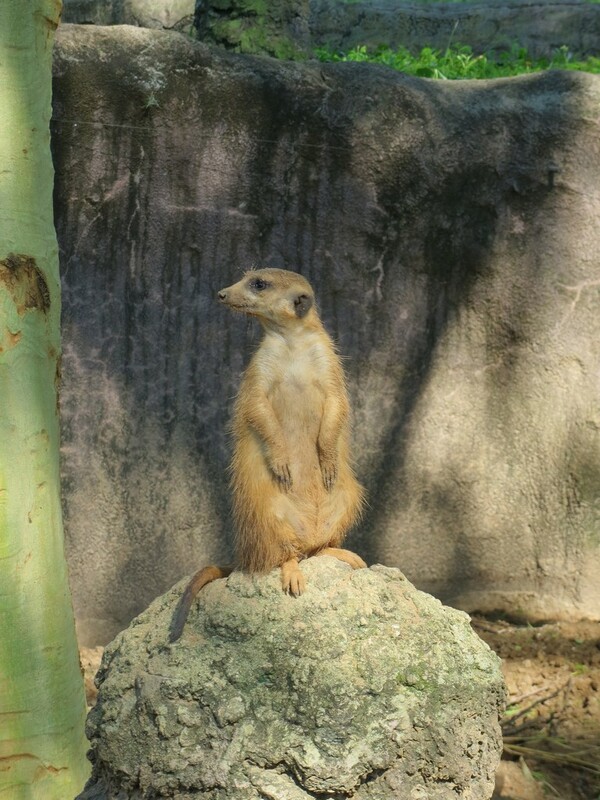 Busch Gardens Tampa is one of the few unique “Zoo theme parks” with a world-class theme park complete with renowned rides and roller coasters situated together with a wildlife zoo. 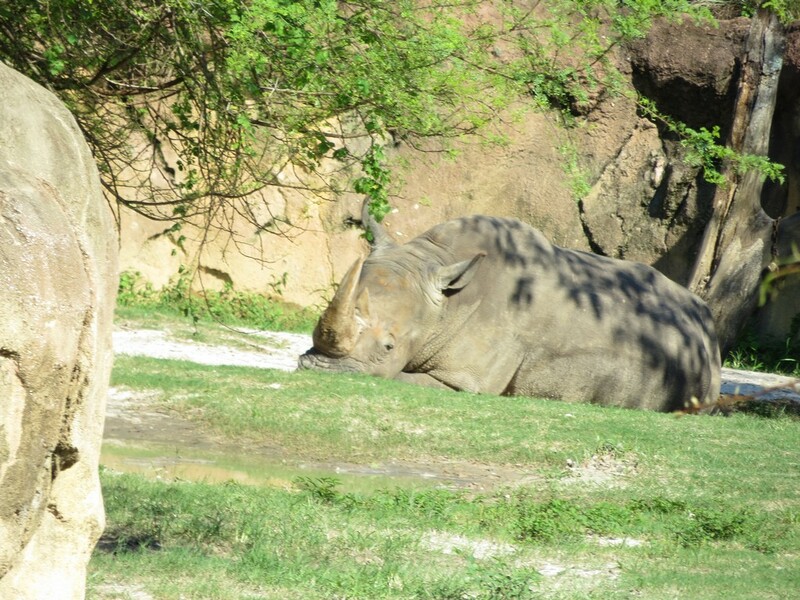 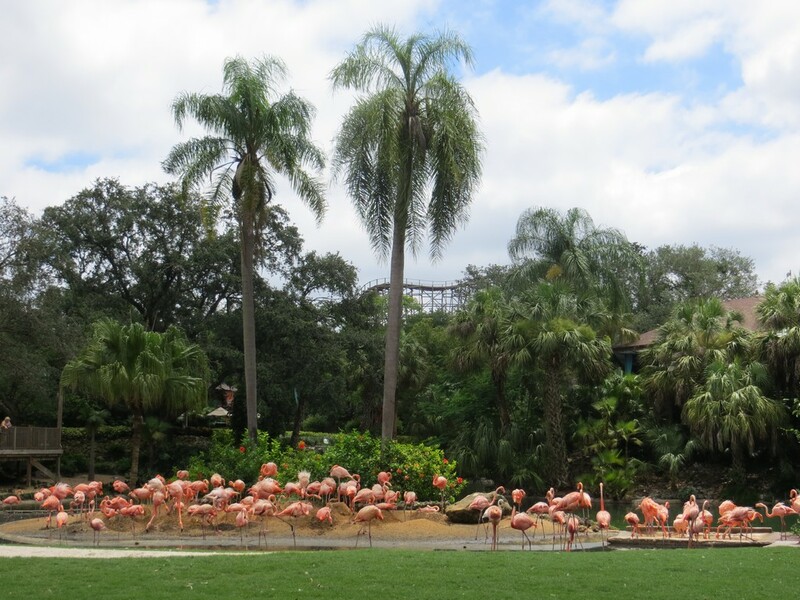 Tampa city, with its typical hot, marshy and warm Florida climate are perfect grounds to create a savannah habitat within its 136 hectare compound as a premiere 19th century African-themed animal theme park, a short drive away from Orlando. 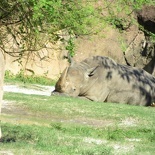 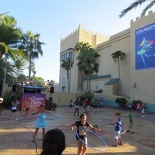 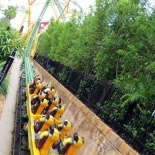 Unlike Disney Magic kingdom and Universal Orlando, Busch gardens is not as accessible by public transport and is served by direct private coaches, which you should book in advance (if you don’t intend on driving) for an hour-long ride into adjacent Tampa, inclusive of discounted park entrance tickets. 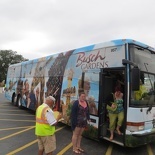 The bus does return pickups from locations along Orlando International drive direct to the park. 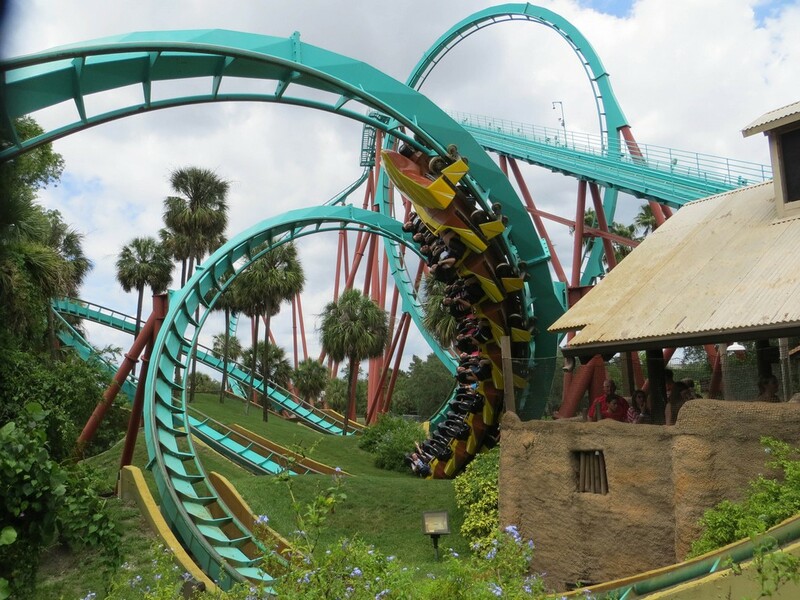 Busch Gardens is owned and operated by SeaWorld Parks & Entertainment, who also operates their premiere SeaWorld Orlando theme park. 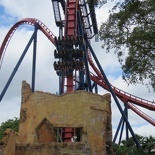 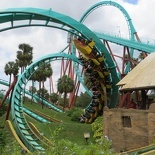 Busch Gardens features six main park sections and is home to 15 rides, with most of them very well-themed roller coasters (8 of them) to go with the African/Egyptian savanna theme. 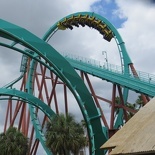 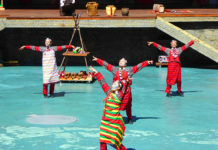 There are also 2 water rides. 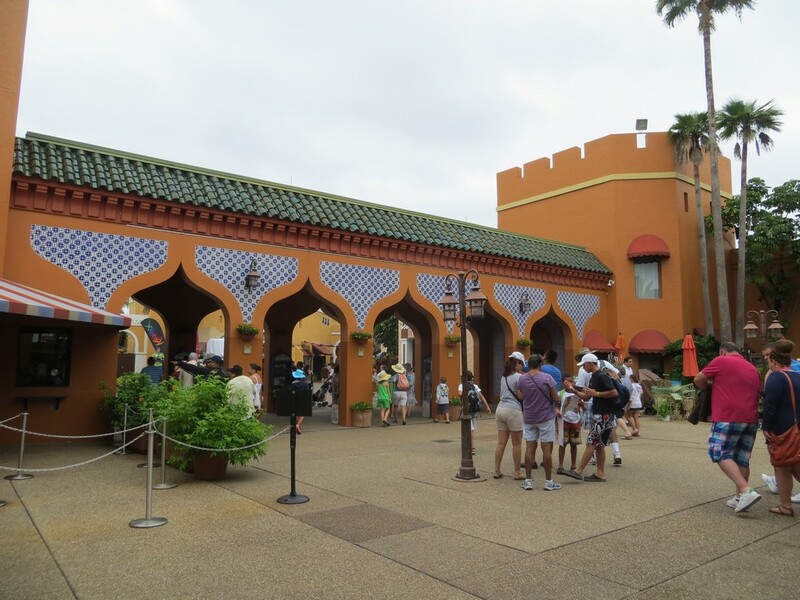 Greeting you a short walk away from the park entrance is the Crown Colony Plaza section. 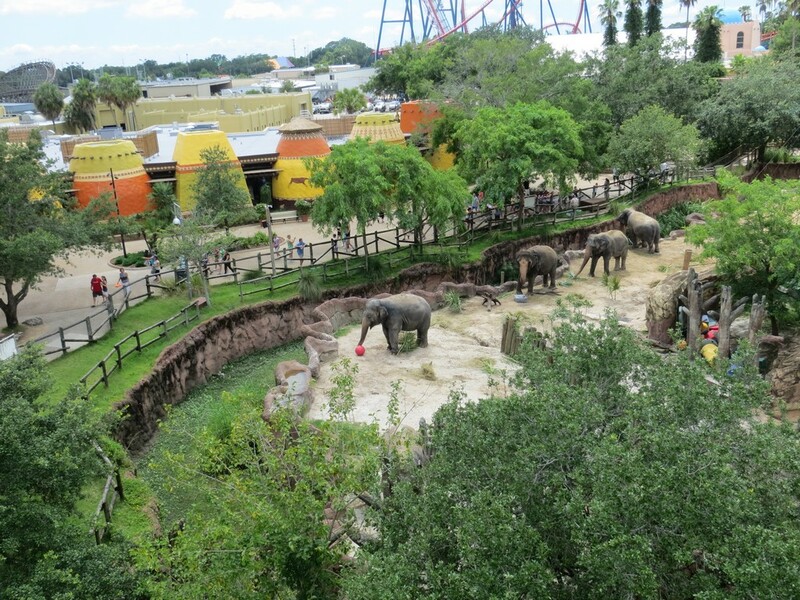 This area is themed to an an olden day American street with modern buildings, slowly transitioning into a savanna-like environment. 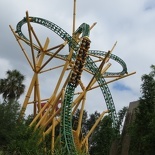 It is home to few of the park’s newest coaster- Cheetah Hunt. 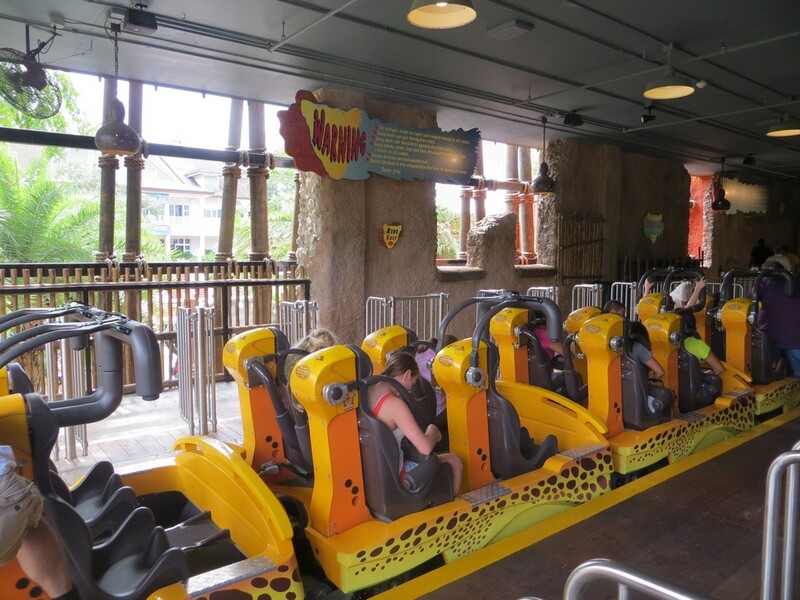 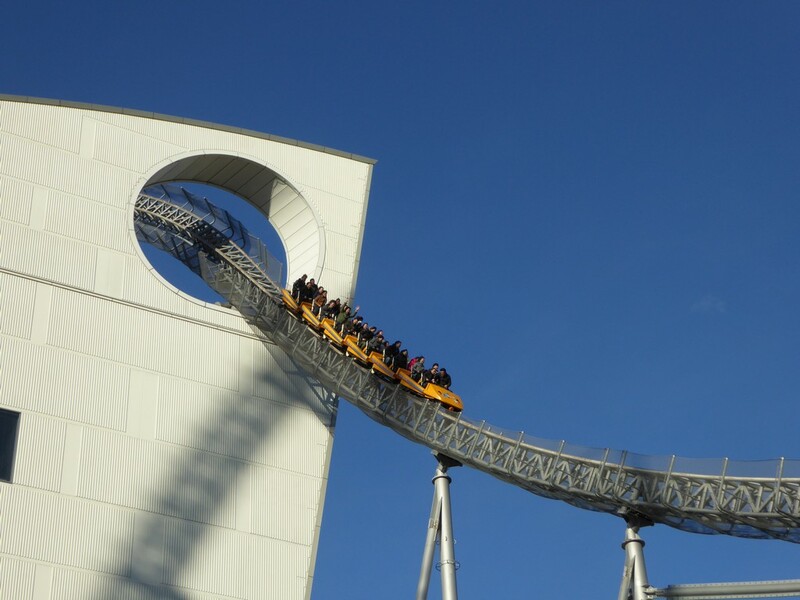 Opened in 2011, the ride is a highly customized Intamin multi-launch steel roller coaster that pays tribute to the park’s 14 cheetahs, which you can visit in the Cheetah Run, an animal exhibit located next to Cheetah Hunt itself. 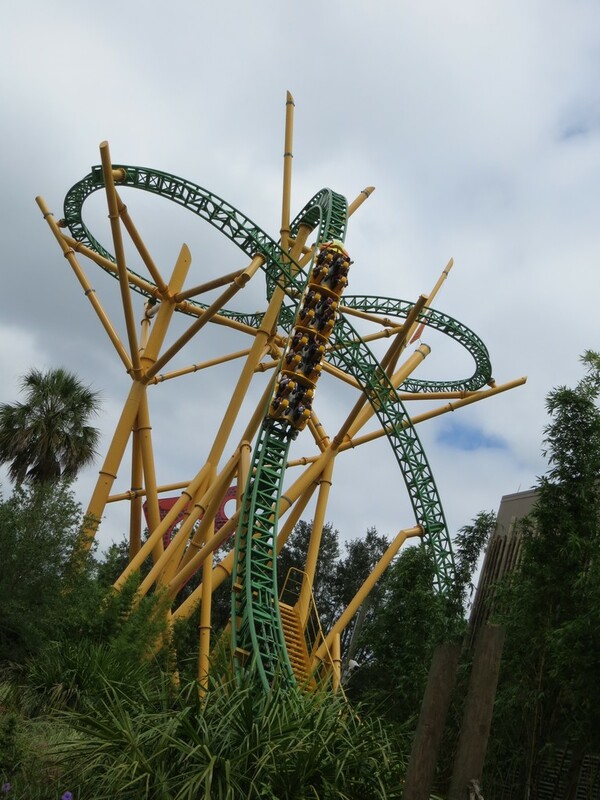 Check out an on-ride video of Cheetah Hunt here. 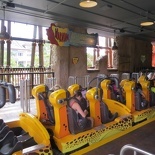 The coaster is full launched without the need for a hill lift, allowing for several unconventional track elements such as vertical climbs and even a darty zig-zagging course over rapid at the end of the ride to mimic the cheetah’s prowess and dexterity on the hunt. 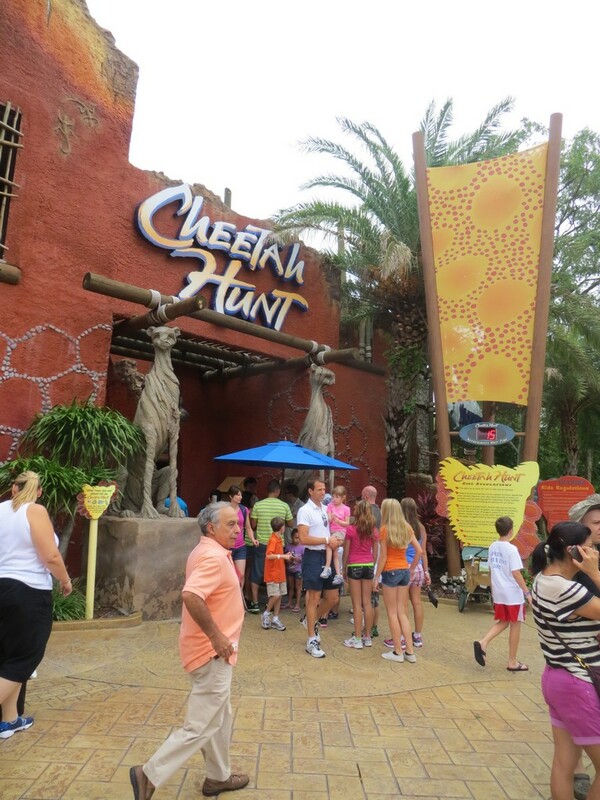 As mentioned, Cheetah Run by the ride is home to Busch Gardens Tampa Bay collection of cheetahs. 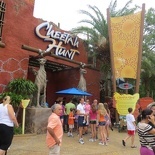 Here, you can learn more about cheetahs through interactive exhibit screens with cheetah facts and attend running demonstrations to meet the animals in person as well as Meet a Keeper sessions throughout the day. 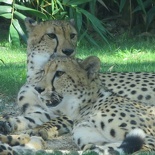 Surprisingly, one of Cheetah Run’s most notable residents are Kasi and Mtani, a male Cheetah and a female Labrador Retriever. 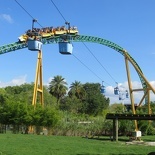 A suspended cable car Skyride connects the Cheetah Hunt’s station to the Congo section. 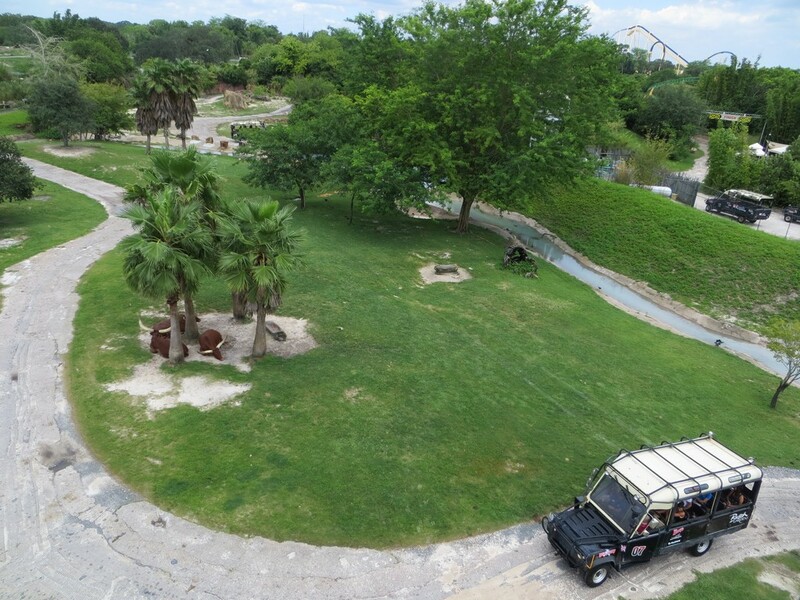 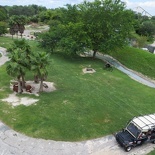 The skyride gives you a bird eye view over the various animals in the Serengeti Plains, part of the “Edge of Africa” attraction which opened in 1997. 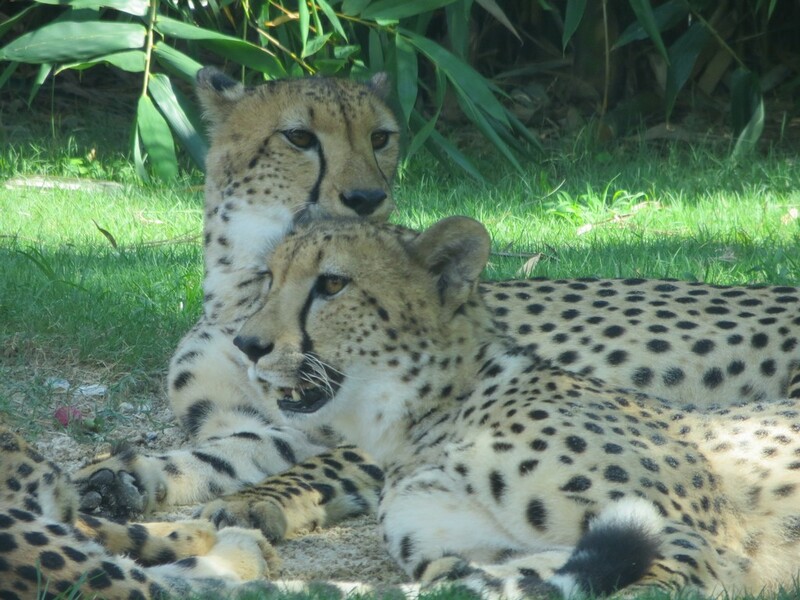 Animals calling the plains home includes Giraffes, a Nile crocodile named Sobek, a couple of meerkats, two lion prides, a spotted hyena pack, two hippos (Moyo and Kita), vultures, and a troop of lemurs. 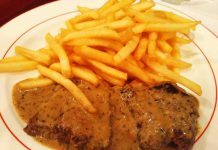 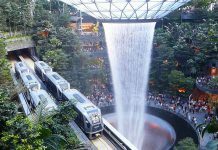 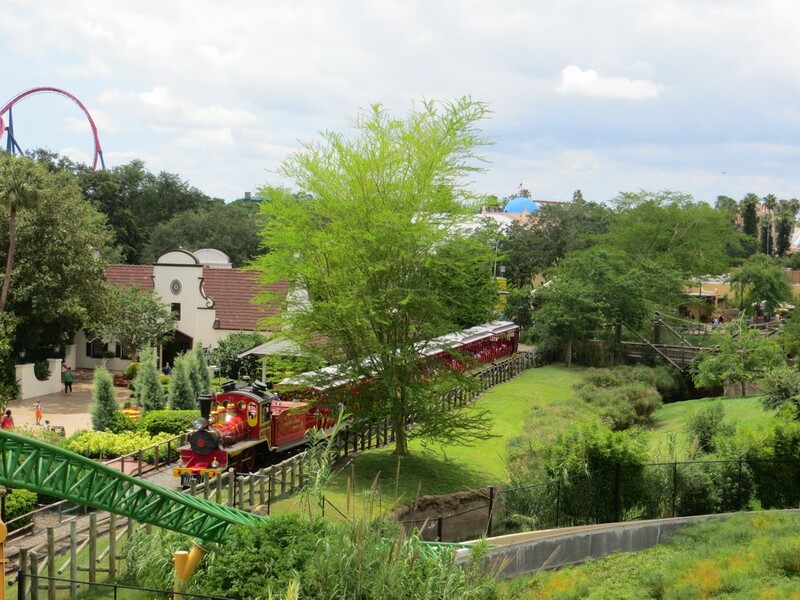 You can similarly observe the African animals from the Serengeti Railway, which circles the entire park and the perimeter of the Serengeti Plains, calling at Stanleyville and Congo sectors. 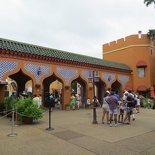 Morocco sits by the entrance of the park beside Wooden roller coasters always make a statement by their sheer size, the Morocco section sits the Gwazi coaster, or what I like to call the “Tiger-Lion wooden coaster”. 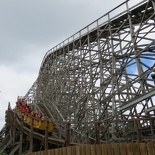 Opened in 1999 and built by Great Coasters International, it is “dualie” dueling wooden roller coaster named after a mythological creature with the head of a tiger and the body of a lion topping speeds up to 82 km/h. 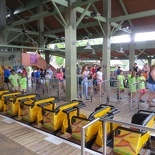 Both the Lion (orange tracks) and Tiger sections (blue tracks) each function as independent coasters with their own track circuit (about 32m long), where launched simultaneously, the trains will intertwine seven times throughout the duration of the ride, adding elements of coaster companionship between the riders from both trains. 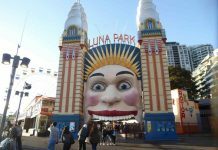 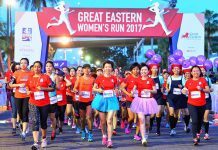 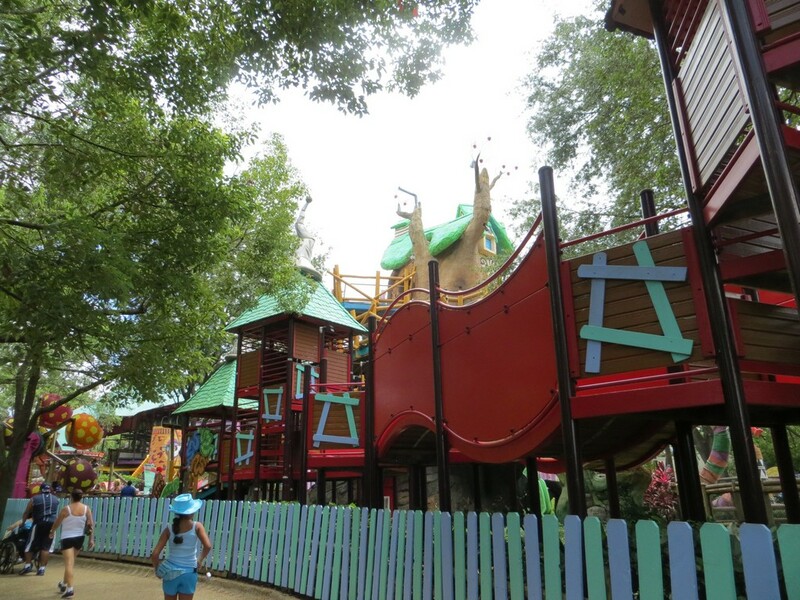 A park full of scary roller coasters is not a family-friendly, as such the Sesame Street Safari of Fun is one of the few children-orientated section of the park with various children rides and play elements themed to the world of Sesame Street. 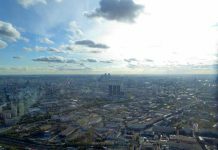 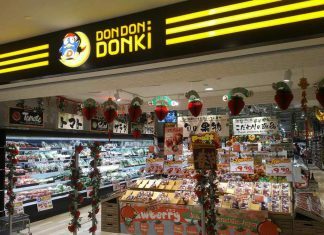 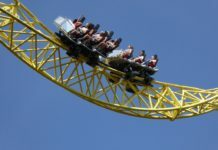 For thrill seekers like myself, you will often do away visiting these sections. 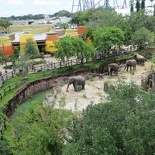 There are a couple of small sections littered around the park which serves as mini outposts, but do not have any big rides. 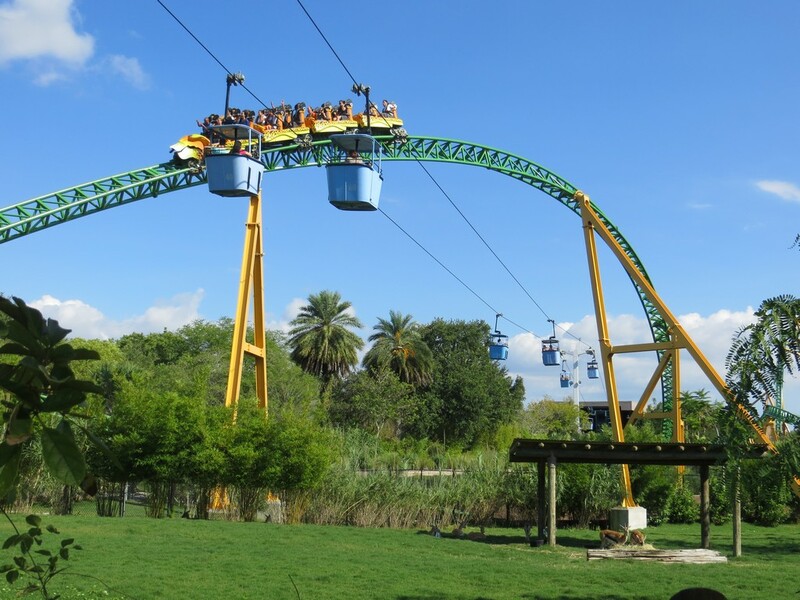 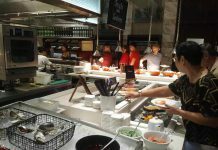 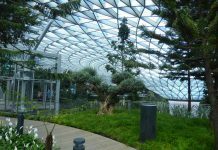 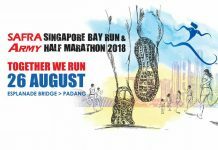 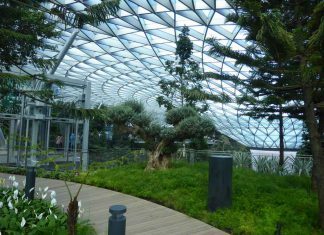 There includes Jungala, a small animal section housing tropical animals as well as the Wild surge and Treetop trails. 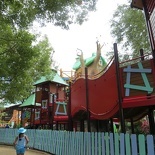 Nairobi, an elephant care center and main entrance to the park’s train station bringing you on a route around the park and savanna Serengeti outpost. 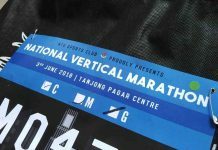 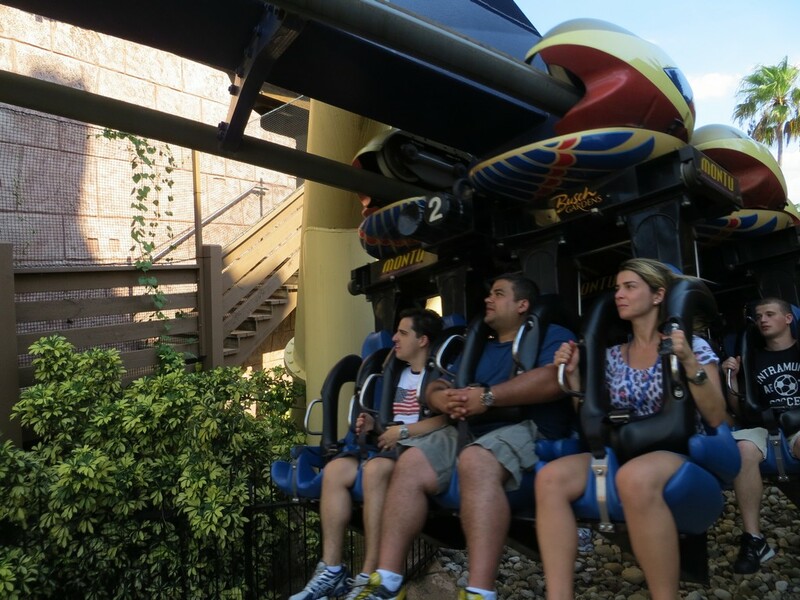 At the Pantopia region, you can find Falcon’s Fury, the tallest free-standing drop tower (102 m) in North America with a drop speed up to 97km/h as well as a Schwarzkopf-designed sit-down roller coaster (Scorpion) with one vertical loop. 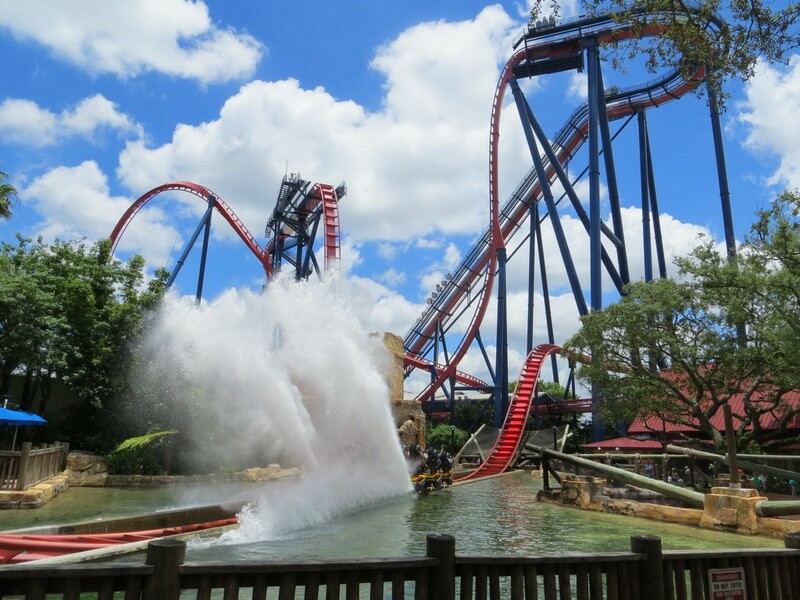 Key attractions in Stanleyville will be the 61m tall SheiKra diving roller coaster. 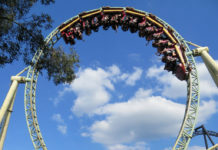 The floorless dive roller coaster was a North America’s first, with a 90-degree vertical drop. 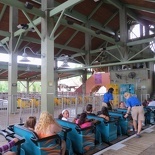 It was built in 2005 by Bolliger & Mabillard as a steel sit down diving coaster and was converted to a floorless coaster in 2006 to amplify the rider experience, particularly on the iconic water plough run through midsection of the ride. 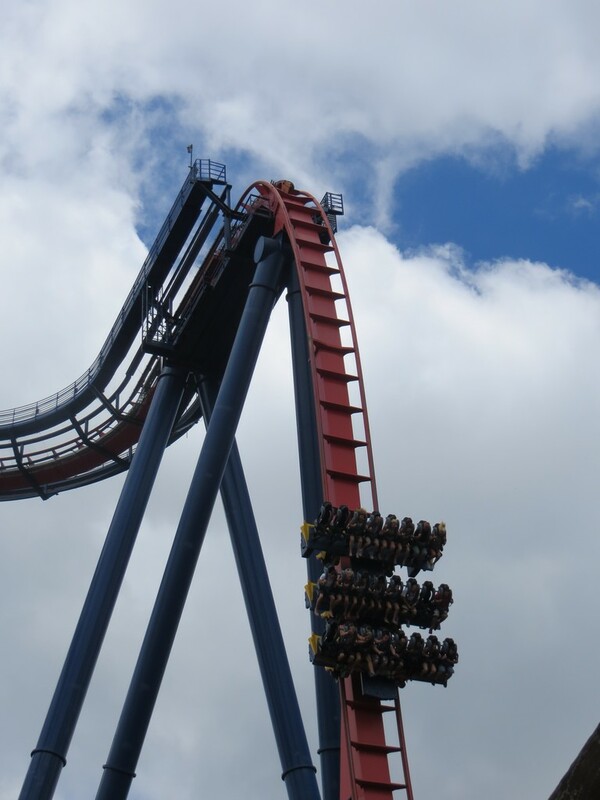 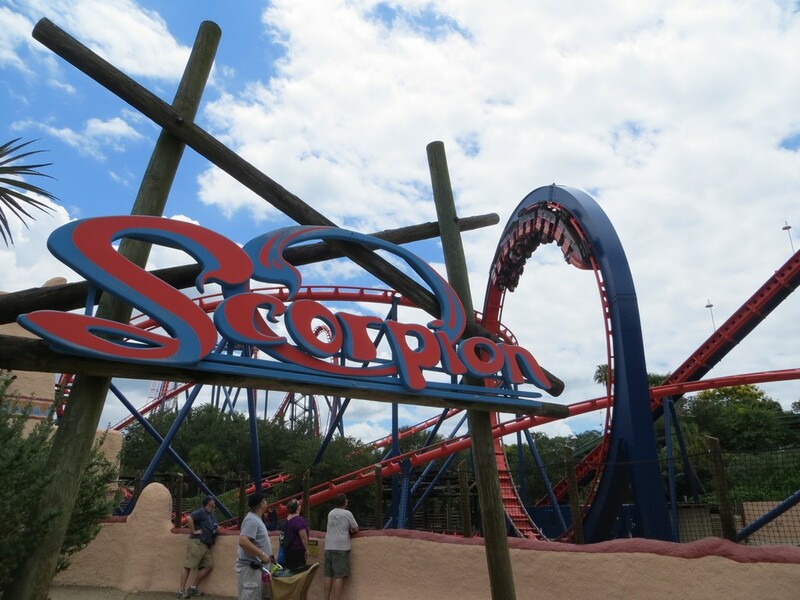 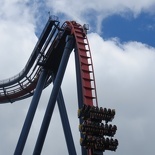 Unlike most diving roller coasters, SheiKra has several track and helix elements after the first dive, which makes it like a full-sized coaster a far cry from most shuttle diving coasters. 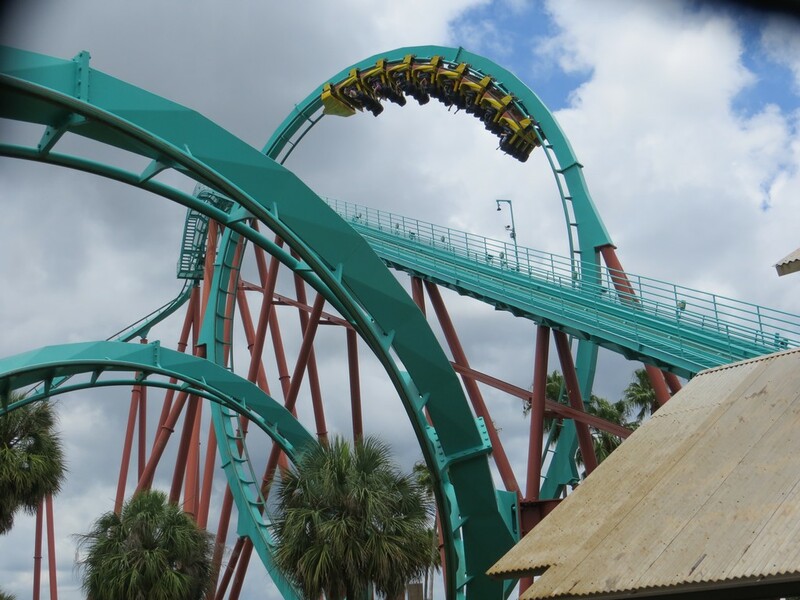 The ride however is not as smooth as Kumba or Montu, which are better coasters despite all being B&M coasters. 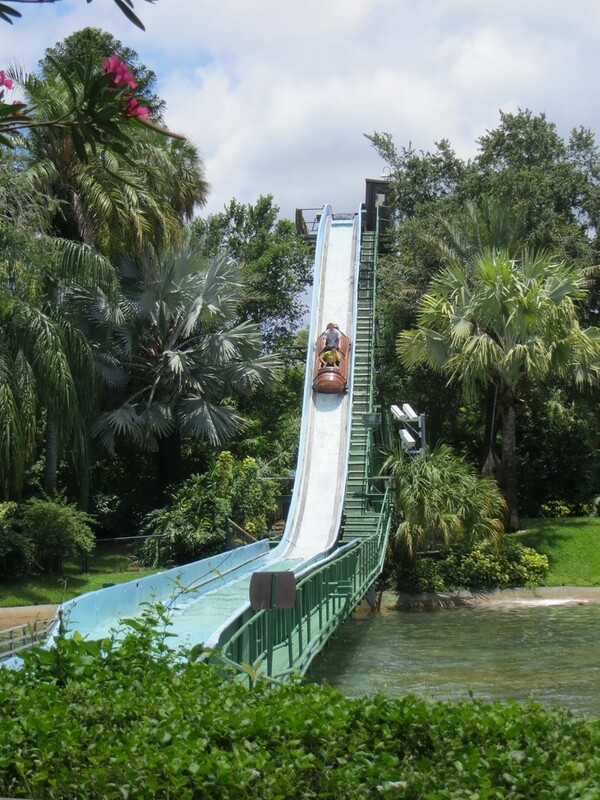 The Stanley falls flume ride; a standard log flume ride resides here too. 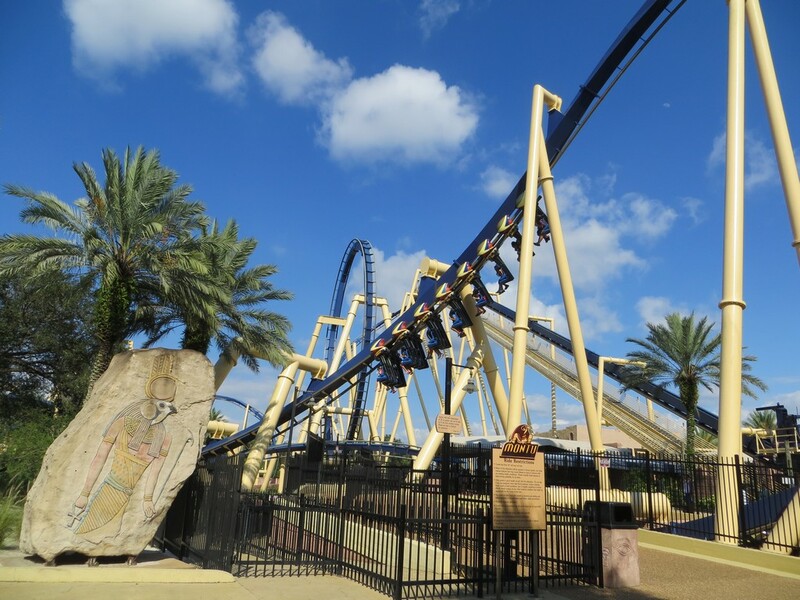 The Egypt section is theming with world-class coasters, such as Cobra’s Curse, a Mack steel spinning coaster that replaced Tut’s Tomb. 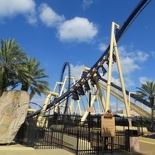 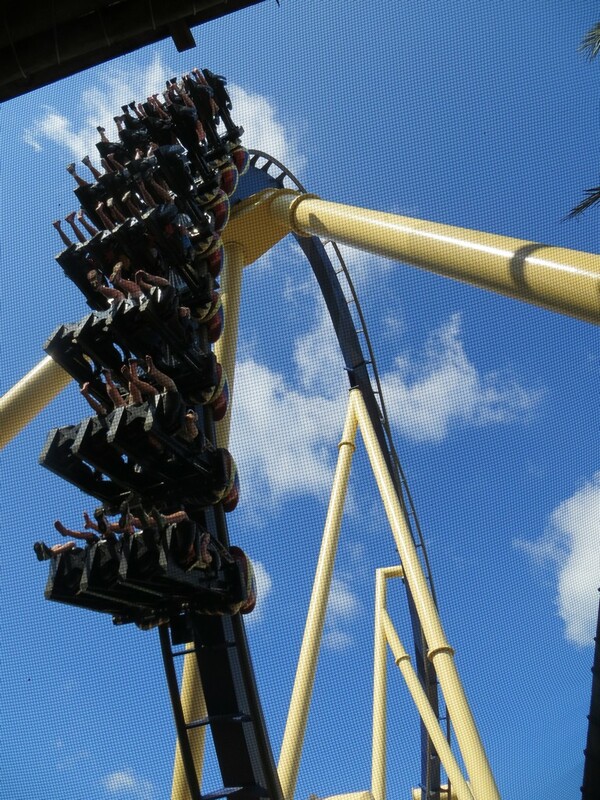 And Montu, a 46m-long steel inverted roller coaster with seven inversions named after the Egyptian falcon-god of war going with the Egyptian theme. 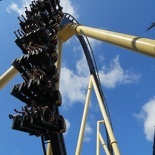 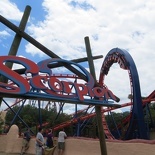 Inverted roller coaster and is one of my favorite coaster form factor, where riders sits with their legs dangling with the track running overhead. 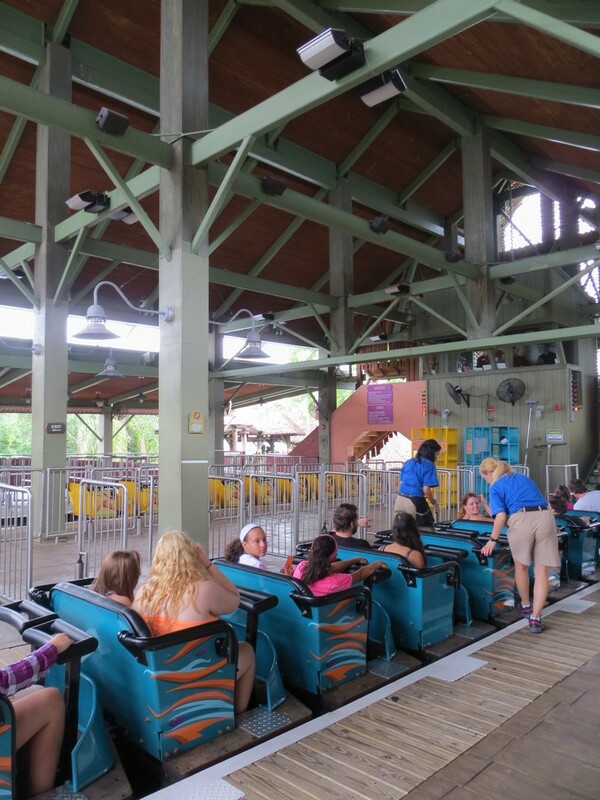 The Congo section sits at the far end of the park and is home to one of my favorite roller coasters- Kumba (meaning Roar in Swahili). 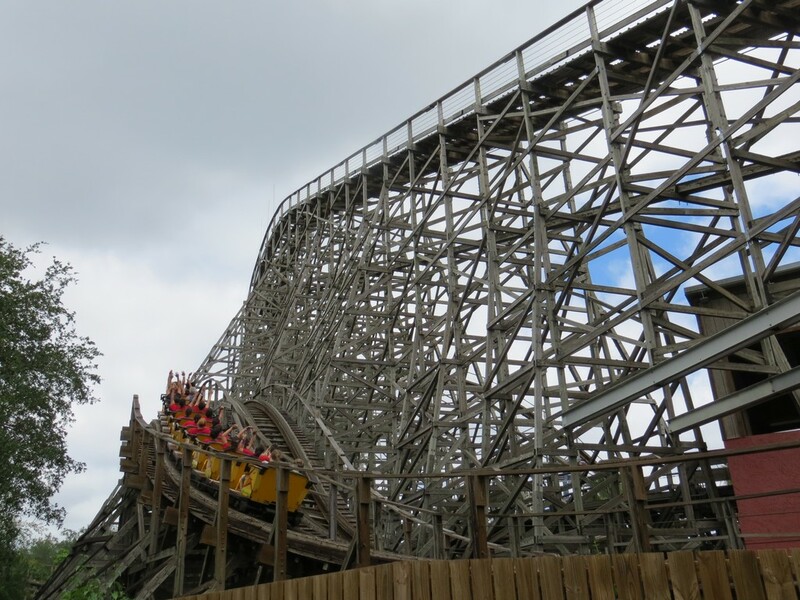 Built by B&M (Bolliger & Mabillard) in 1993, the steel sit-down roller coaster is one of the few roller coasters with very smooth curves and very nice ride, giving it a low intensity and high excitement rating despite having seven inversions. 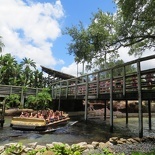 The coaster also sits in a very well-themed tropical area with many good photo opportunities too. 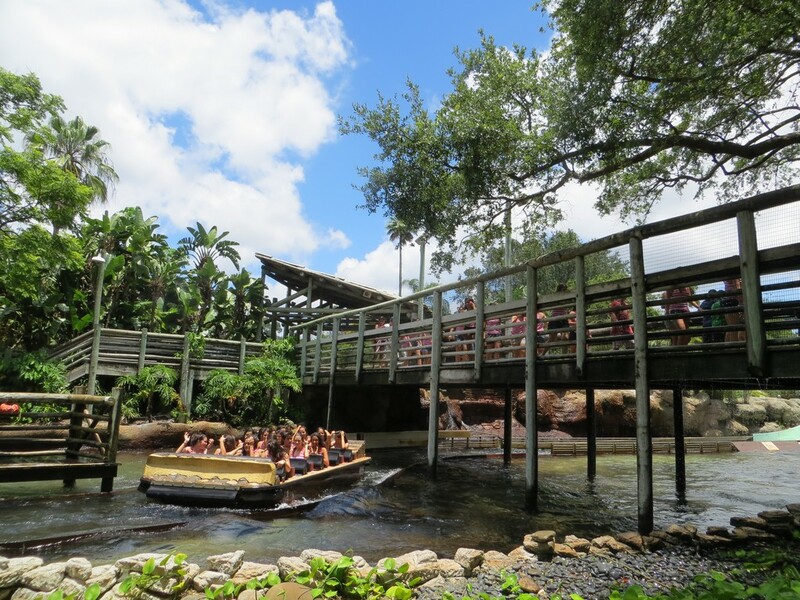 Congo park region is also where the River Rapids water ride is, opened in 1982, it is an Intamin water rapids ride that simulates raging whitewater rapids. 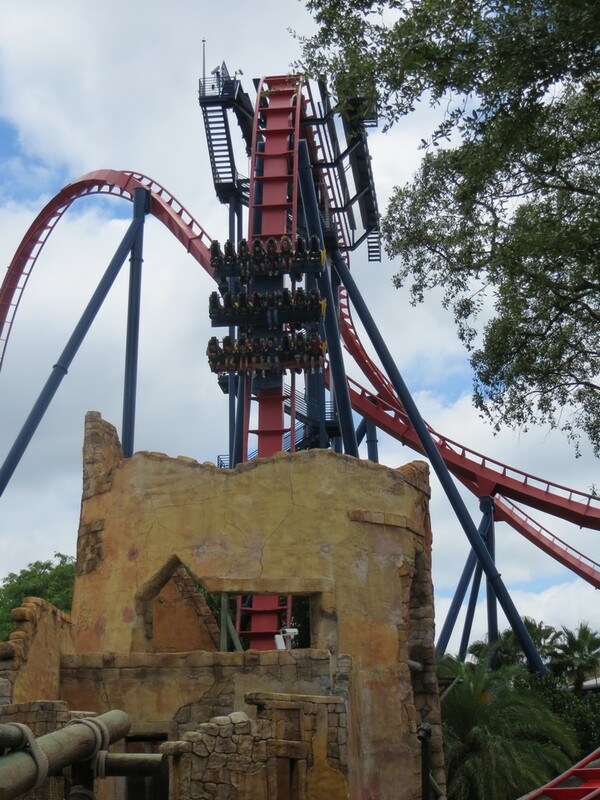 Busch Gardens ranks pretty high on my list of top theme parks, mainly for the number of really good riding roller coasters such as Cheetah hunt and old time classics such as Kumba and Montu. 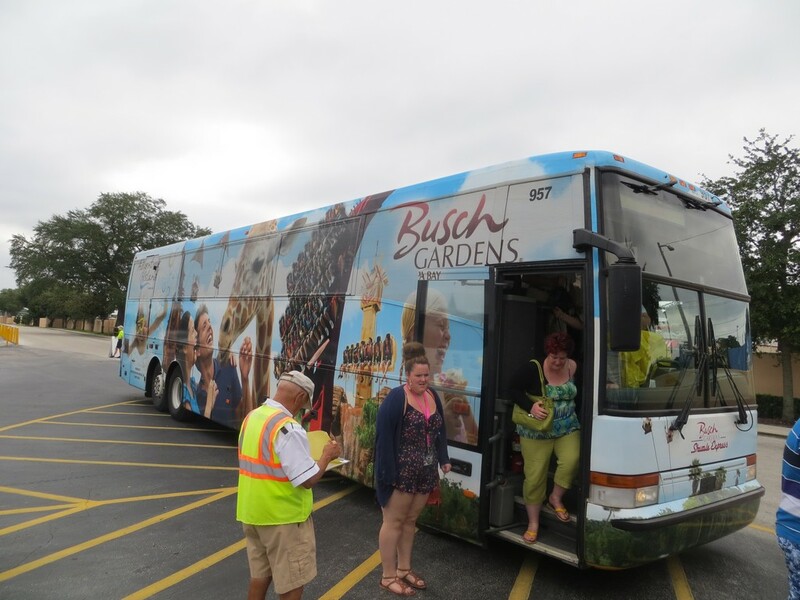 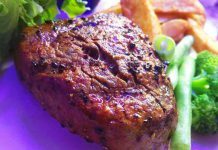 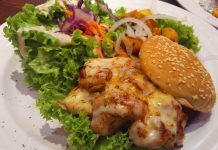 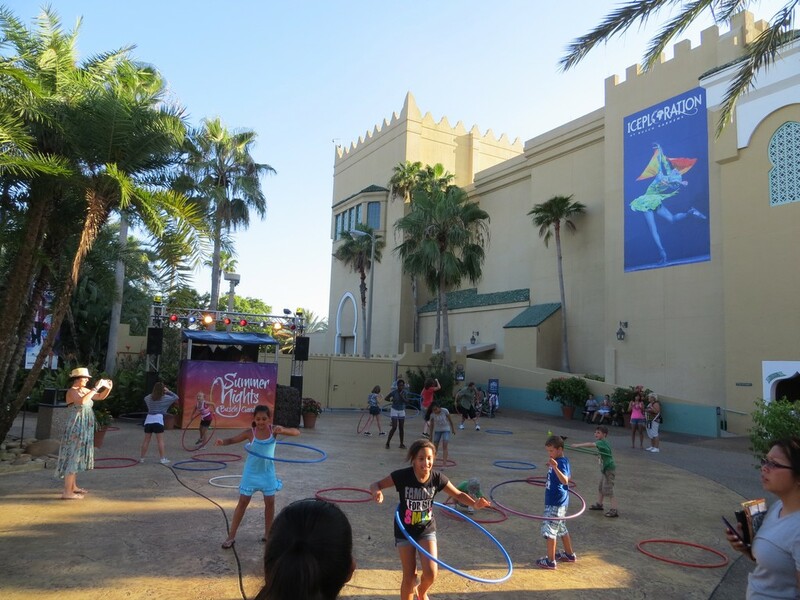 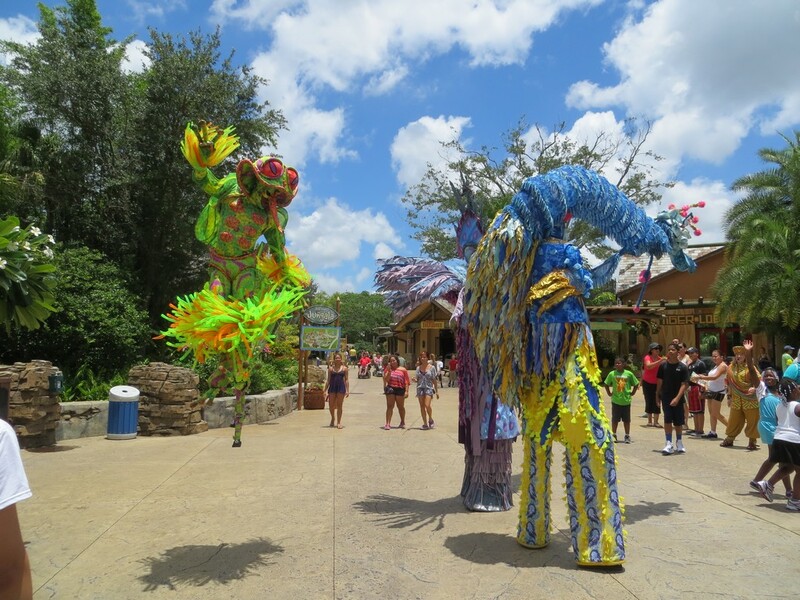 Given the time required to travel to the park, a visit to Busch Gardens Tampa will be an entire day out, with provisions to start right on park opening time and leaving on the last shuttle bus back to Orlando. 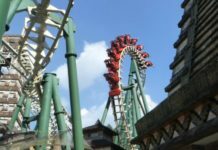 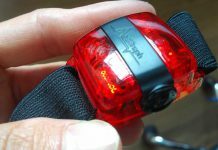 I found the rides more catered to thrill seekers, with several zoo and family elements so that kids themselves won’t be left out. 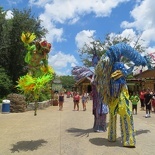 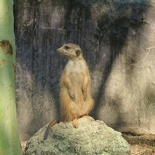 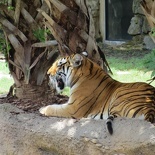 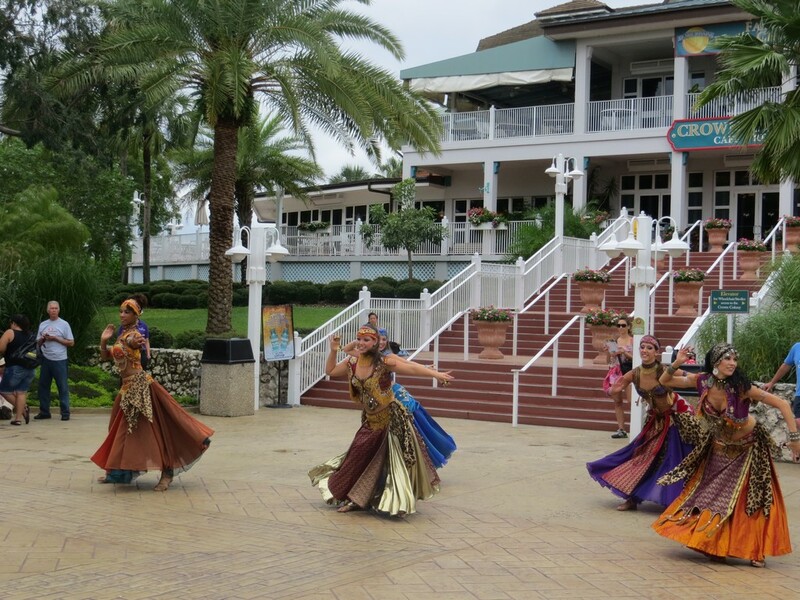 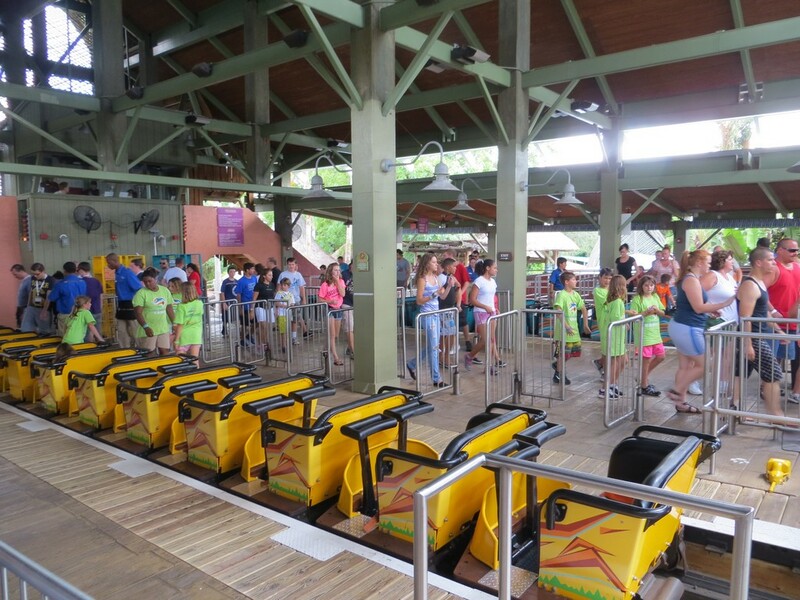 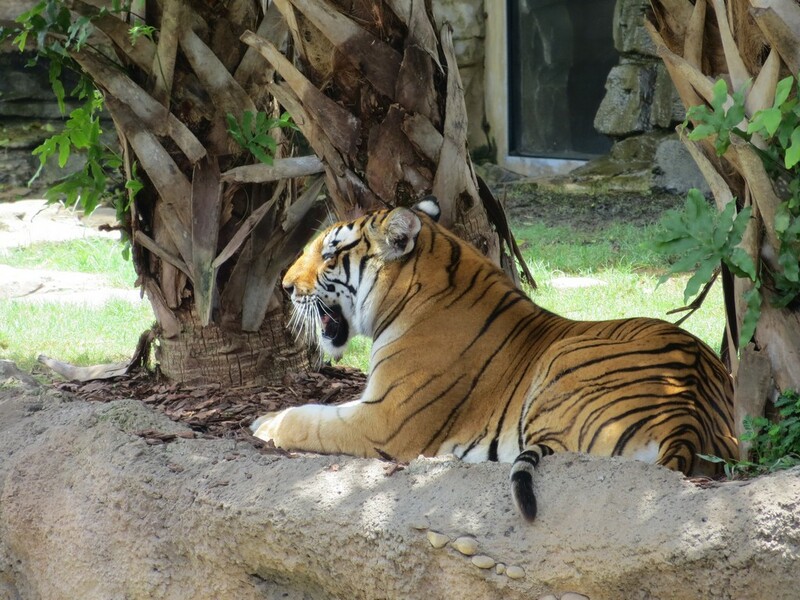 View more photos of Busch Gardens Tampa in its photo gallery here.